Ternium paints, galvanizes and pickles coiled steel for the building construction industry. To improve distribution channels, Ternium relocated an existing operation in Richmond, California to Shreveport, Louisiana. Wieland was hired by Ternium to construct a new facility and coordinate the equipment rigging for the 1100 foot linear paint line being disassembled in California, moved to Louisiana and reassembled. 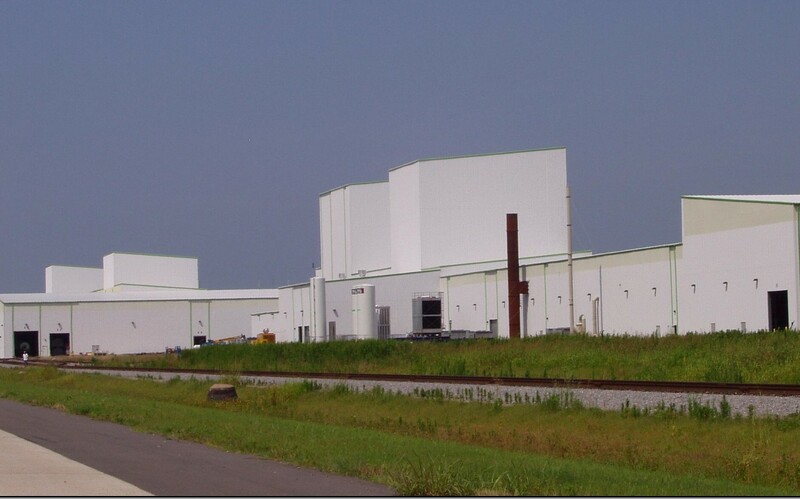 Upon completion of the paint coating line, Ternium asked Wieland to construct a second phase including two 110’ tall towers for steel drying and accumulation. The project included a melting pot basement with two 18 foot melting pots for galvanizing the coiled steel.